Home / Editor's Choice, Lifestyle / Kikuyu LADY and her 5 relatives sentenced to hang for killing husband who married second wife. Kikuyu LADY and her 5 relatives sentenced to hang for killing husband who married second wife. Tuesday, February 12, 2018 - A woman and her 5 relatives have been sentenced to hang for killing her husband over a second wife. The lady identified as Anne Waithera and her co-accused hatched a plot to kill David Macharia and threw his body in a river to hide evidence. 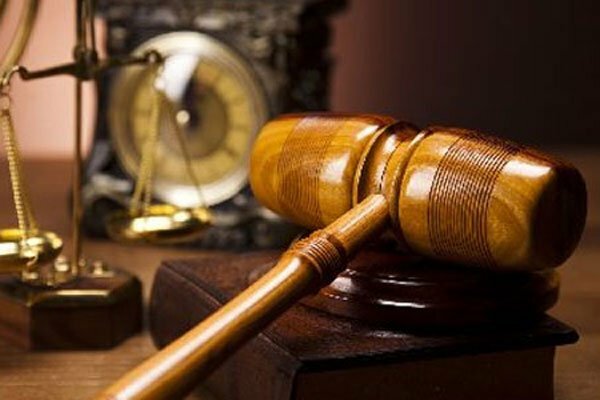 Court of Appeal judges upheld the death sentence imposed on the wife Anne Waithira Macharia, her sister Ruth Wanjiru Maina, David Njoroge Kimotho, Joseph Kinyuru Kirumbi, Eliud Kimani Mwai and her son Joseph Macharia Maina. Lady Justice Florence Muchemi had found all the six accused persons guilty of murder. While making the ruling, the judges termed the killing of David Macharia on June 12, 2004 as a cold-hearted, chilling murder. The verdict signed by Judges Philip Waki, Roselyn Nambuye and Patrick Kiage read. Witnesses revealed how the accused killed Macharia, who was milking his cows at Kamae in Lari division, Kiambu County, by slashing his neck with a panga, wrapped the body in blankets, stashed it in two sacks, tied boulders around it and threw it at a waterfall deep in a forest. His crime; he had taken a second wife Hannah Wambui due to incessant marital problems with his first wife Ms Waithera.